The Mythical Pokémon Diancie. 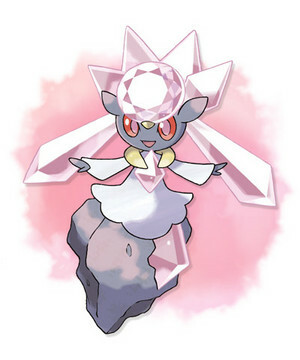 Diancie can create diamonds out of thin air sejak compressing the carbon in the atmosphere with its hands. It uses these jewels in battle to attack enemies and protect itself.. Wallpaper and background images in the Lagenda Pokémon club tagged: photo mythical pokémon diancie xy.